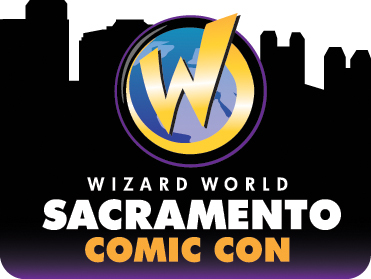 I attended Wizard World Comic Con (henceforth to be known as WW) in Sacramento for a few hours yesterday and while Sacramento is clearly ready for a big, San Diego-style convention, I don’t think WW was ready for us. My hometown of Sacramento has always been odd. We are bigger than the small college town of Davis and the “we used to be rural and now we aren’t” sprawl of Folsom. But we’ve never achieved much stature as a city, because we are dwarfed by nearby San Francisco, not to mention Los Angeles and San Diego. Sacramentans are touchy about this. So we were pretty psyched to find out that we were getting our very own large, multi-genre convention, with big name stars like William Shatner, Stan Lee, and Chris Hemsworth. I wold estimate the number of attendees on Sundays as “A lot”, That’s the kind of gritty, in-depth reporting you can expect from this site. The line to enter the convention stretched around the black. To WW’s credit, the line moved fast, and there were plenty of people at the entrance to scan tickets and wave me into the right line. They were pretty darn friendly considering that they had to deal with several thousand confused people. So major points to the WW registration staff! But they may have overshot on admissions. Once I was registered, I was funneled into the Dealer’s Room which was so crammed with people that at points we could barely move. This was especially disconcerting because the only way out of the dealers room other than fire exits was the way in – a critical thing to know that we didn’t figure out for quite a while. It was hard to find the rooms with the panels. There was a kid’s booth, but we were never able to get to it through the crowd. It was frenetic and further more, between you and me, there was a certain eau de convention that suggestion that some people had been here for all three days and forgotten to reapply deodorant during that time. After what seemed like days but wasn’t, my daughter, cousin and I escaped into the lobby where we had the eerie experience of seeing a constant flood of people going into the [acked room we had just left and a trickle of people coming out. It seemed that at some point basic physics should kick in and the over-stuffed room should explode but that didn’t happen on my watch. So basically, as far as Sunday went, WW managed to share with Sacramento all the things about San Diego Comic Con (SDCC) that are unpleasant (a heavy corporate money-making vibe, too many people in too small a space, mass confusion) while retaining very few of the the things that make SDCC fun. The positives were seeing lots of great cosplay, the nice and helpful staff, and the knowledge that next year the company will be doubling the amount of space at their disposal. The biggest drawback for Sunday was the very limited programming. It looked like most of their programming happened on Saturday. Maybe next year they’ll fill the Sunday schedule with more options now that they know they can draw a huge Sunday crowd. Will I go next year? Probably not, but I’m not ruling it out. While the over-crowding gave me the heebie-jeebies and I was sad that the programming was so limited, that might improve next year and this year most people I saw were smiling and seemed to be having fun. so we’ll see how next year goes. Meanwhile I’m looking forward to smaller, more fan-based conventions and events and stocking up on coffee for SDCC this summer! This entry was posted in Rants and Raves and tagged Sacramento, Wizard World Comic Con.